It has been said before, but if there is one thing that marks out a wine professional, it is a love of Riesling. While consumers will often declare a preference for a particular grape, very few outside the trade tend to pick Riesling as their favourite variety – and this is something the wine industry has found puzzling for decades. What is it that the sommelier or wine writer adores that the consumer doesn’t – or has yet to discover? Following our Riesling Masters tasting this year, this grape’s traits could be summed up by a combination of two key aspects: it has both personality and precision. Riesling, when made well, is instantly identifiable, bursting with aromas of lime zest, white peach, sliced apple, and fresh flowers. It may be pale to look at, but it has an intense and distinct character. And it also has a sharp edge – Riesling cuts, rather than covers the palate. It provides a tangy, taut and recognisable sensation. One wonders whether such features may be alienating consumers? Riesling may simply have too much personality and an overload of cold precision. Perhaps. But it can’t be a lack of quality that’s putting people off. 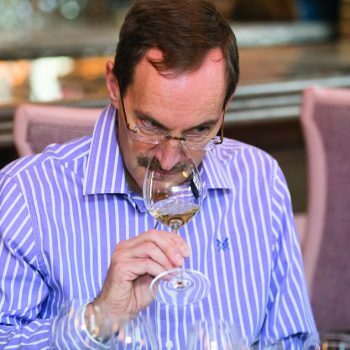 Indeed, like previous Riesling Masters, this competition yielded some of the highest proportions of Gold medals – and, in this latest round, as many as five Masters (which is the very highest accolade of the series, and awarded only to truly outstanding wines). As one judge, Patricia Stefanowicz MW, said: “Even a rather dismal, rainy day couldn’t dampen enthusiasm for an amazing group of Rieslings.” Notable is the range of sources for highquality Riesling. Even within Germany, the number of great regions for Riesling is broad. Of course, the Mosel and Rheingau shone, but so too did warmer areas such as Pfalz and Baden. 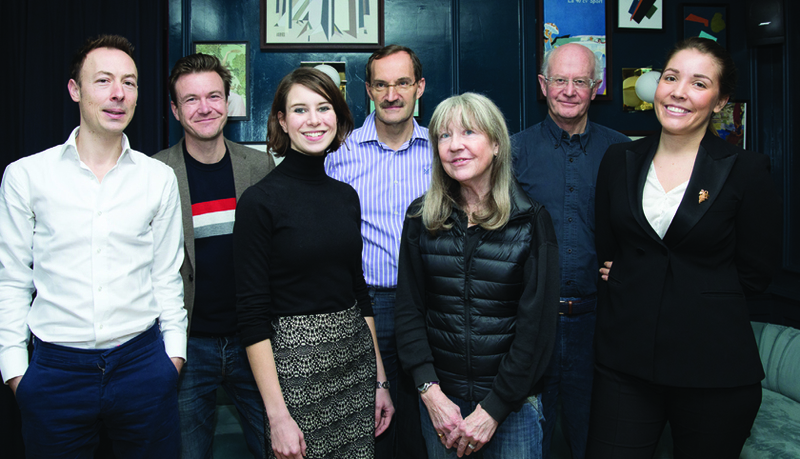 Beyond this nation’s borders, France, with samples from Alsace, showed the quality attainable elsewhere in Europe, with the biodynamic wines of Domaine Schlumberger picking up two Masters, one for a bone-dry style, and a second for a medium-dry grand cru example. Also hailing from this French region was a Gold medal-winning Riesling from Michel Chapoutier’s Schieferkopf brand – a project started by the famous Rhône-based winemaker in 2006. Austria, as one might expect, also served up some stunning examples, in particular from legendary producer Schloss Gobelsburg, which was awarded a Master for both its dry and sweet Rieslings, proving this country’s capability to make class-leading wines at opposite ends of the stylistic spectrum. Then there were wonderful wines in a range of sweetness levels from the US and Canada, notably samples from Washington State and Niagara in these respective countries. However, if there was a stand-out nation in the Riesling Masters this year, it was Australia, which has managed to create wines that are for the most part bone dry, but deliver a fruity refreshment with Riesling that is rarely matched elsewhere. A lime cordial, flint and citrus zest intensity with remarkable consistency were the hallmarks of the great Rieslings from Eden and Clare Valleys, ensuring that these places took home the highest proportion of Golds. And, standing tall among such giants was the St Hugo Riesling from Eden Valley, a wine from Pernod Ricard Australia that shows why this nation (and producer) should be just a famous for its Rieslings as its Chardonnays. It’s important to note too that such greatness, whether from the Mosel, Pfalz, Alsace, Eden Valley or elsewhere, doesn’t come at an unpalatable cost. These great wines may not be cheap, but they are certainly affordable, leading one to safely believe that Riesling offers the most accessible fine white wine experience available today. Not only that, but there is no white wine better suited to extended cellaring, as the grape’s low-pH brings remarkable natural stability, allowing the wine to slowly develop layers of honey and toast over time, without shedding its uplifting acidity. Also, interestingly, in the case of the sweet wines, Riesling tastes drier with age – even if the sugar content remains the same. This ensures that fully mature wines actually take on even greater levels of freshness. And, bearing that in mind, if one is looking for the ideal apéritif, then, as those in the wine trade have done for decades, serve a well-made, old, sweet Riesling. There are few better ways to start an evening, and certainly none that offer superior value for money.